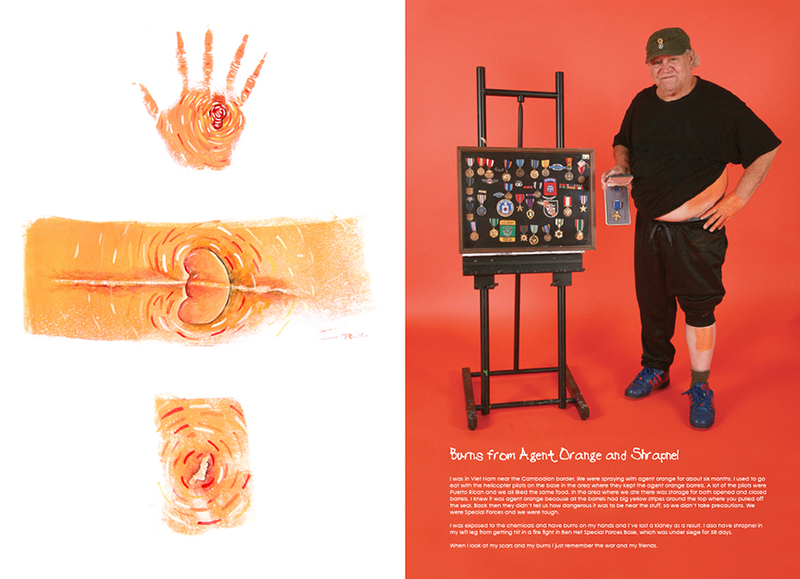 ​Scarred for Life Veterans Project is a multi-faceted visual arts presentation and documentary film that honors the stories of American veterans. 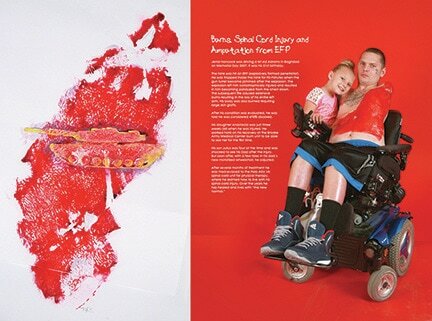 16 years ago Los Angeles based artist Ted Meyer began an art project titled “Scarred for Life”. He began creating mono-prints of people’s scars and detailed them to make art prints that illustrate their current condition while reflecting their past injuries. 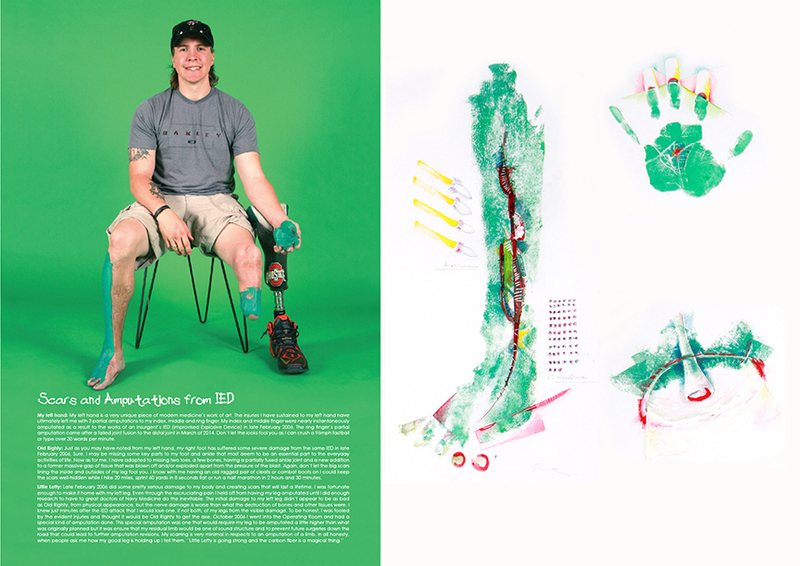 He documents their emotional journeys and uses the art prints as a conduit to tell their stories and share with others their tales of survival and the rediscovery of personal strength that arose through these otherwise tragic and unexpected events. Meyer is now in the planning stages of the Scarred for Life Veterans Project. A new project that will focus on the scars of Wounded Warriors and the impact these injuries have had on their lives and others. Meyer will pull body prints from their scarred skin, and document the entire process with photography, and for the first time, video. The resulting portraits are powerful documents to the dedication, persistence, and humanity of our troops who have fought and sacrificed in both the 20th and 21st centuries. An accompanying documentary will be filmed, capturing the entire creative process. The film will give each Wounded Warrior a platform to tell their individual stories, detailing the specifics of their injury, their recovery, and how they came to find strength through this experience. Major museums nationwide have already expressed interest in hosting exhibitions of the final body prints, photography, written stories and documentary videos. In addition, we are open to partners and sponsors. All help is welcome to bring these stories to life. Read about the project here at We Are The Mighty. Video: “Scarred for Life Veterans Project” filmed for KCET ArtBound in October of 2013. LyVell Gipson, wounded by an anti-personnel mine, tells his story to Ted in this moving portrait of bravery.